Recently our journey to find our first home was the subject of a two part feature on Atomic Ranch magazine’s blog! Oh, and remember when I wrote that our apartment was featured in Vintage Holiday? 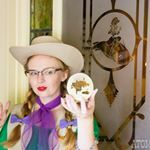 Well, both Vintage Holiday and Atomic Ranch are owned by the same company, and Atomic Ranch‘s blog featured the same article in case you missed getting your hands on a copy! You can find the house and the holiday articles here! I have been reading Atomic Ranch since its debut year in 2004. So to be featured, even if it’s just on their blog, is a true joy. Speaking of the house… We have been in our new house for about six months now and while we are all moved in, we are still getting settled. I haven’t found art for portions of our bedroom, or framed the art for the guest room yet. We need to save to re-build part of the office wall, which currently features an accordion door partition. We plan to not only rebuild the wall, but also make it a coat closet, as currently the guest room closet is home to all of our coats! So our poor guests have no place to hang their things when they stay! But it also means the office is in slight shambles, and really won’t be settled until the wall/closet is built. Not to mention, the yards are a massive, and time consuming work in progress. I mean to say it is massive in that there is a lot to do…our yards aren’t really that big…decently sized…not too big or too small. Earlier this week we had a yard consultation to learn more about the already established plants in our yards, as well as what we plan to plant. Sadly, the dreams I had of playing croquette this summer will have to wait, as the best time to plant grass is in the fall. In the meantime I’ve been working on restoring new-to-us Heywood Wakefield Dog Bone chairs for the dining room, and am working on a tutorial post for the process! I just wanted to let you know I nominated your blog for a blogging award! Thank you so much! I’ll get on this soon!